The Constitution Bench of the Supreme Court today delivered a landmark judgment and declared the National Tax Tribunal Act as unconstitutional. The Constitution Bench consisting of Chief Justice of India RM Lodha, Justice Khehar, Justice Chelameswar, Justice AK Sikri ruled that Sections 5, 6, 7, 8 and 13 of the National Tax Tribunal Act are unconstitutional. The Bench also had Justice RF Nariman, who in a separate concurring opinion declared the law unconstitutional. Justice Nariman ruled the law to be unconstitutional on two grounds, first, on separation of powers between judiciary and executive and the other point being of judicial independence. The majority on the Bench opined that Parliament could not take away the power of a court and vest the power in something that is not a court by nature. The provisions of the Act that have were pronounced unconstitutional formed the backbone of the Act, without which the National Tax Tribunal Act cannot stand. Justice Khehar authored the majority opinion and the judgment reads, ““entire enactment is declared unconstitutional”. Madras Bar Association along with others had filed the petition regarding the issue and they had challenged the Tribunal’s power to decide ‘substantial question of law’. It was also contended that the legislation violates the basic structure of the Constitution of Indiaby impinging on the power of ―judicial review vested in the High Court. In the 270-page judgment, the Court then went through the history of tax legislations in India. The Court also discussed the facts leading to the legislation, which included reports by several committees. “1. That the reasons for setting up the NTT, were fallacious and non-existent.Since the foundational basis is untrue, the structure erected thereupon, cannot be accepted as valid and justified. And therefore, the same is liable to be struck down. 2. It is impermissible for the legislature to abrogate/divest the core judicial appellate functions, specially the functions traditionally vested with the High Court. 3. Separation of powers, the rule of law, and judicial review, constitute amongst others, the basic structure of the Constitution. Article 323B inserted by the Constitution (Forty-second Amendment) Act, 1976, to the extent it is violative of the above mentioned components of the basic structure of the Constitution, is liable to be declared ultra vires the Constitution. “i) The Parliament has the power to enact legislation, and to vest adjudicatory functions, earlier vested in the High Court, with an alternative court/tribunal.Exercise of such power by the Parliament would not per se violate the ―basic structure‖ of the Constitution. (ii) Recognized constitutional conventions pertaining to the Westminster model, do not debar the legislating authority from enacting legislation to vest adjudicatory functions, earlier vested in a superior court, with an alternativecourt/tribunal. Exercise of such power by the Parliament would per se not violate any constitutional convention. 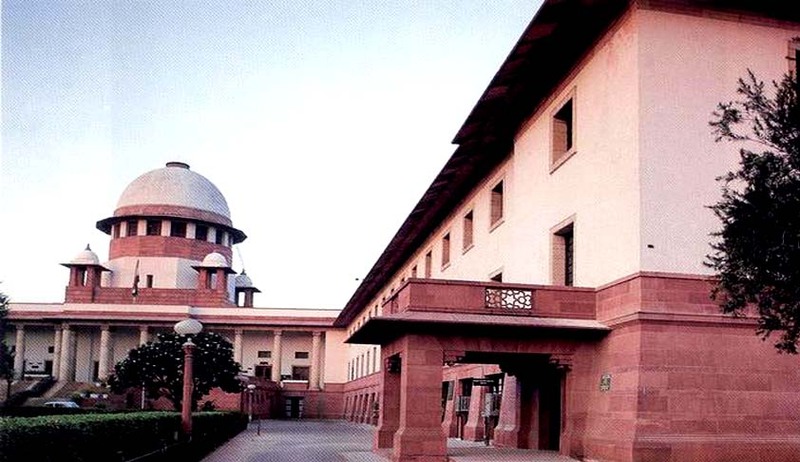 (iii) The ―basic structure‖ of the Constitution will stand violated, if while enacting legislation pertaining to transfer of judicial power, Parliament does not ensure, that the newly created court/tribunal, conforms with the salient characteristics and standards, of the court sought to be substituted. (iv) Constitutional conventions, pertaining to constitutions styled on the Westminster model, will also stand breached, if while enacting legislation, pertaining to transfer of judicial power, conventions and salient characteristics of the court sought to be replaced, are not incorporated in the court/ tribunal sought to be created. (v) The prayer made in Writ Petition (C) No.621 of 2007 is declined. Company Secretaries are held ineligible, for representing a party to an appeal before the NTT. This judgment of the Supreme Court has posed a new problem to the government, which is already dealing with high number of cases pending in the Courts. The National Tax Tribunal Act was seen as a mechanism to reduce arrears, as it would have taken the tax cases from the already burdened High Courts to the Tribunal. The provisions of the now declared unconstitutional act provided that the appeal from NTT could only be heard at the Supreme Court. The National Tax Tribunal Act also provided that if there was a difference ininterpretation regarding a point of law, the same would be referred to the Special Bench of the Tribunal, which was empowered to take a final decision. Moreover, the Act also allowed the ‘executive’ to have extra control regarding appointments to the Tribunal and the Tribunal’s procedure. Meanwhile, the law constituting National Company Law Appellate Tribunalis also facing a challenge regarding its constitutionality in the Supreme Court. You may also like to read India’s tryst with tribunalization and transfer of judicial power to regulatory bodies.